The research findings helped to inform the options and proposals for change that we developed with industry stakeholders. We consulted publicly on the change proposals earlier this year and published the response to consultation in July. We’re now looking to introduce these changes over the next few months. CBT was first introduced in 1990 with a 2-year validity period. This was to give learners some experience on the road and time to do further training before taking their full test. Over time, we’ve found that young riders aren’t going on to take a full test, and many of these are especially vulnerable and disproportionately represented in the killed and seriously injured (KSI) statistics. In 2013, motorcyclists accounted for 22% of all road user deaths despite representing only 1% of vehicle traffic. 19% of all reported motorcycle casualties involved young riders aged 19 and under. CBT itself isn’t broken. When taught well it does a good job of helping new riders gain basic skills and knowledge to ride a motorcycle. While the research from 2014 showed high levels of satisfaction among learners and trainers, we think it’s the right time to update and improve it, particularly for new and younger riders. The research found that in the short term it would be better to support a client-centred learning approach to training, and to review the syllabus content and the way it’s taught. Since regulatory change can take at least 2 years, we’ve looked to see what we can do now without needing legislation changes, whilst also thinking about the long term. 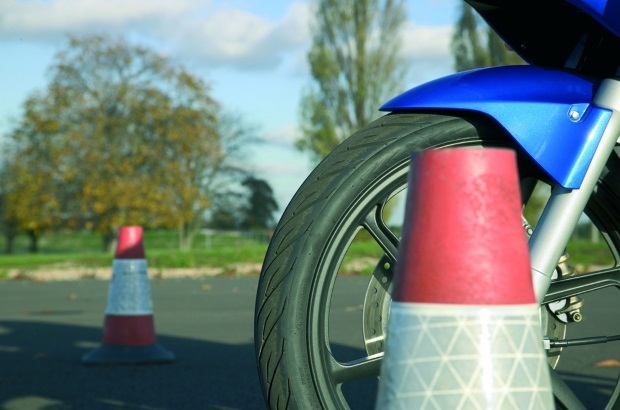 Like the standards check for approved driving instructors, this will be more closely aligned to the 'National standard for driver and rider training'. It will also move training to a more client-centred approach, where trainers are asked to understand the individual learning needs of each learner. The new standards check will make it clear what’s expected from trainers – highlighting areas of strength and identifying those for development. We’re still developing our content, so if you have any suggestions, please tell us in the comments. There was a great deal of support from those who responded to the consultation, for unannounced quality assurance visits. From autumn 2015 until spring 2016, we’ll be running a pilot to test how we can best put this into practice. We’re also introducing slight changes to the CBT certificate to reflect a course taken on an automatic machine and recommend that riders take further training if they want to ride a geared motorcycle. We’re monitoring stock levels of the current certificate and we’ll only issue the new one once the stock levels of the current one have been used up. We’re holding a series of roadshows across the country in November to talk about these changes in more detail. From next Monday (5 October), we’ll start sending out details of how to register to attend one of these events. If you haven’t already done so, please sign up to receive our email alerts to make sure you don’t miss out. Really 1630hrs and 1800hrs in November!!!!!! I dare say that a vast majority of us Motorcycle instructors/owners will be working on any of the available days. Being Bristol based myself and who's users can/have traveled from at least a 30mile radius for tests doesn't seem to make sense to be excluded. So why isn't Bristol on the Roadshow Calender? I am sorry but find it difficult to believe how unstructured & badly planned your proposed Road Show locations appear, what has happened to East England? You show no planned venues between Peterborough & Darlington, then none in Scotland, my question would be genuinely how concerned are you about the Training Industry when so many instructors & training schools are being inconvenienced by having such large distances to travel to learn of your proposed important changes. My comment is : are you not going to cover the rest of the country, namely the whole of Hampshire, i,e Southampton and Portsmouth. With the requirement to enter on the cbt cert. automatic? How can this be achieved with the old cert's and since regulatory change can take at least 2 years. Would it become illegal to ride manual? Retaking a CBT every two years. What are the stats on this? Retakes should be grouped together then the training could be on a question and answer basis. It is tempting to shorten the two hour road ride. As commented above, nothing in Scotland, with a population of over 7 million people. Only Newport in Wales, for around 3.5 million people? I accept that these road shows cost money and take up time, but if you really want to engage the training community then you cannot make it this difficult for many of them to get to the sessions. Isn't Manchester north of Peterborough and last time I checked Edinburgh was in Scotland..? No venue in Scotland? I thought Edinburgh was north of the border. I would suggest the need for shorter people to be catered for in the CBT - too many training schools only cater for the 5'4" and above - inside legs of 28/29" and more. I know of at least 5 people who have difficulty in learning to ride, purely due to this, and before you say "scooter" - many scooters base-boards also make them too wide to suit also. They're always welcome to do it on their own bike if they have needs like that. From a purely business point of view we cannot spend on a bike which is so low that 99% of pupils would be uncomfortable on it, it's uneconomic to have a "just in case" - it's the same argument when pupils question why all our DAS bikes aren't lowered. It's because we have to have bikes that earn their keep and cater to the masses. Like I said, find one that fits and do it on that, same with the kids who want a geared 50cc - bring it yourself, I haven't got a problem with that, even been and collected them before now. I am struggling with these dates because I am not around the first week of November. The alternative locations are obviously quite some distance away (I would have travelled the 30 miles to Birmingham had I been available). What are the plans for briefings for those of use who cannot attend? Can I suggest that one event is put on video so that we can all view it at a date/time of our convenience? Thanks for all your comments. We’ve arranged the events towards the end of the working day or in the early part of the evening so as many trainers as possible can attend. Whilst we would like to go on a more extended tour of the country I think we’ve got a reasonable geographical spread of events and I do need to be mindful of costs. If we get lots of requests for any specific extra locations I’ll see what we can do to set these up. You will be able to ask questions at the roadshow events and afterwards, either on this page or by email. We’ll be sharing information online about the new standards checks and the most common questions that trainers have raised. We hope to see as many of you as possible at the roadshow events. To far for others to travel ...lose of earnings to come ....the expense to travel so far to attended .... Not planned very well by giving those that live far away to be able to attend at such short notice ... So it looks like there will be a vast amount of schools losing out once again and having to learn the hard way by word and mouth of others that could attend and missing out on what could be vital information . With out training schools like all of us there be no jobs for examiners , so really all training schools should be a priority how far we are all expected to travel to find out what is going on with everything that is changing. But for a lot of us to find out and see for are selfs we have to stop are jobs to come up and pay out a lot of money to make the trip that's to far away to find out . Following the introduction of mod 1 & 2's first consultation invites..
"whilst we value your opinion it will however in no way shape or form change the outcome of our decision". I believe this to be nothing more than a PR exercise to appease the masses "hierarchy" at best! In the years I have been an instructor I have found the DSA nothing more than toothless wonders when it comes to enforcing their own rules and regs.. It goes a lot higher than people may think!! If as they say, they cared as much as they say they do, then they would make provision for the covert ops and the mystery shoppers grow a pair and enforce it, thus making the industry more reputable therefore generating more revenue and the roads safer to boot..
ps.. also maybe get to grips with recruiting more bike examiners and promoting the ERS like they said they would and stop scamming the instructors on the RPMT for fees to keep it in existence.. Riding a motorcycle is one of the adventurous experiences you will ever have. To ride safely on road, it’s essential to get training and learn skills necessary to survive the ride. Motorcycle riding requires skills that you can gain only by spending time on motorcycle and by proper training.